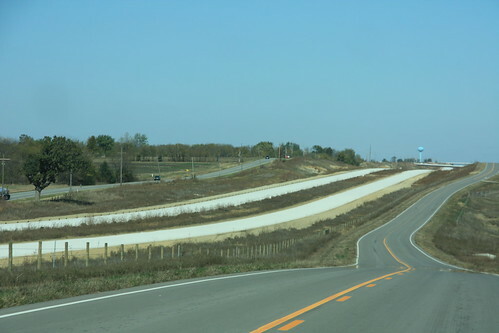 The new lanes of US 59 are apparent in this photo. 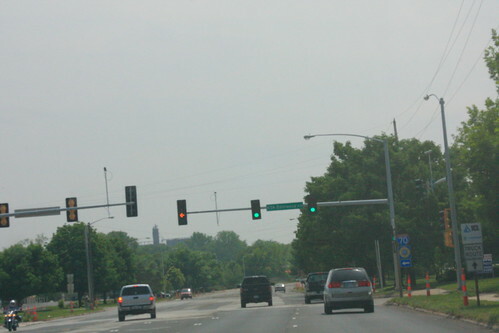 The existing US 59/E 1250 Road is on the left. I am on the newly-built E 1260 Road. 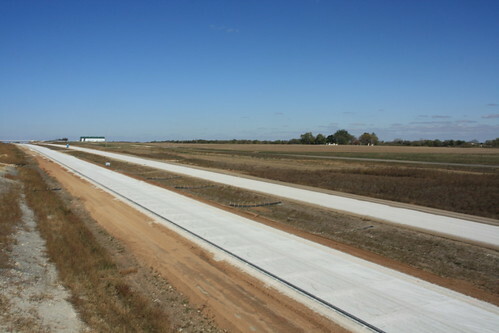 This shot is from the N 550 Road bridge looking northeast across the new US 59 lanes. The southbound lanes have had the Portland Cement laid down, while a gravel base is laid down on the northbound lanes. 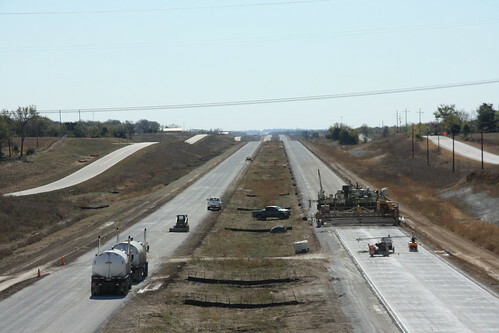 Looking south from the N 550 Road bridge, the contractors are currently working the Portland Cement Concrete Pavement for the new US 59 southbound lanes from north to south. E 1260 Road is on the left, existing US 59/E 1250 Road is on the right. Here's an updated shot of the "wrong-way" multiplex of US 59 and US 73 in Atchison. 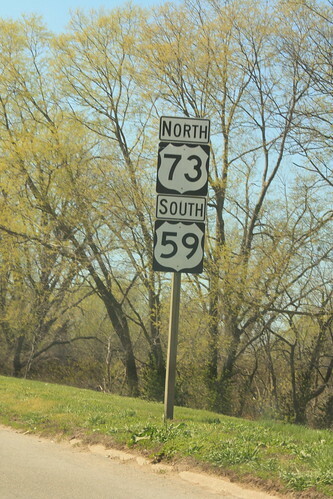 Note that on this segment, US 73 is posted on top. Traffic viewing this reassurance marker is moving west-southwest.